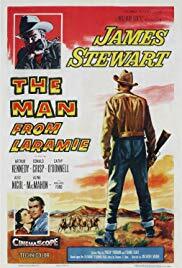 103 min [ THE MAN who was magnificent in "The Glenn Miller Story" THE MAN who was unforgettable in "Rear Window" THE MAN who was matchless in "Strategic Air Command" ] - Will Lockhart (James Stewart) becomes entangled in the happenings of Coronado, an isolated western town, after delivering supplies there. He is especially involved with the Waggomans, an influential ranching family, and begins his search for someone selling rifles to the local Apaches, only to find out it is the son of the most powerful man in the area. It is at this point that his troubles begin.